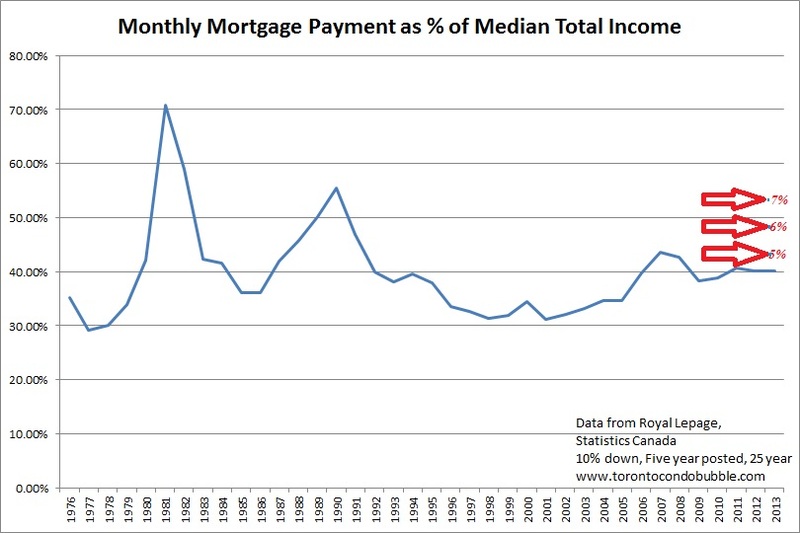 Back in 2005, as the US was in the midst of a housing bubble, the Bank of Montreal published a report examining whether a real estate bubble was taking root in Canada. 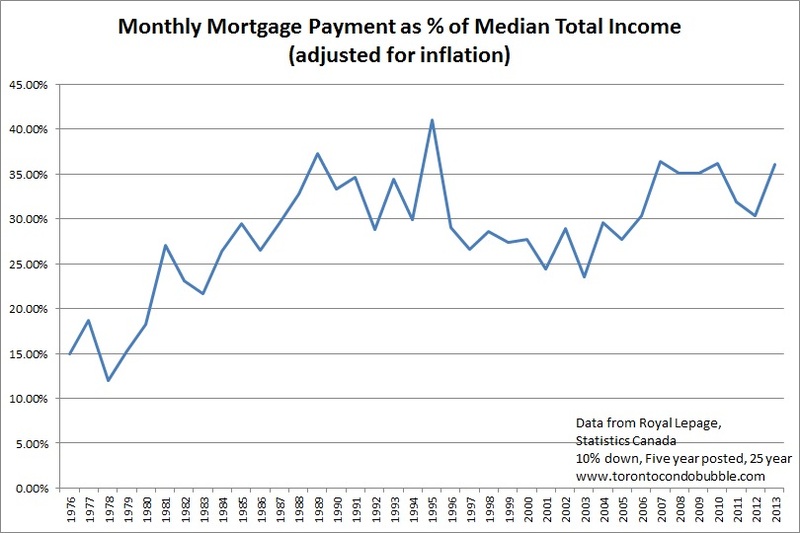 In probably one of the most objective reports that I've read by a bank, BMO came to the conclusion that back in 2005 the housing market was not a bubble due to low interest rates. However it warned that further property appreciation combined with rising rates would move the housing market into bubble territory. 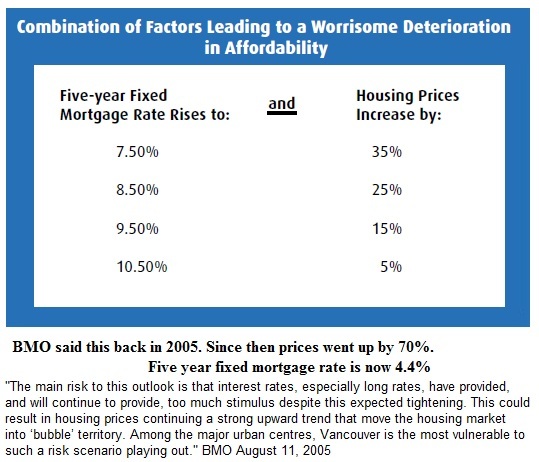 Also, BMO noted that Vancouver is most vulnerable to such a scenario. 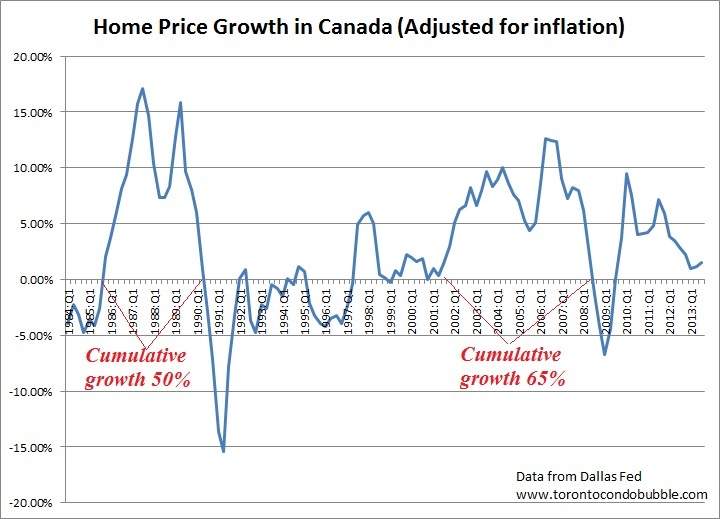 Since the analysis in the report, home prices in Canada rose by 70%. Below I present some surprising quotes from the report along with updated graphs. The red arrows indicate scenarios under 5%, 6%, and 7% five year mortgage rates. 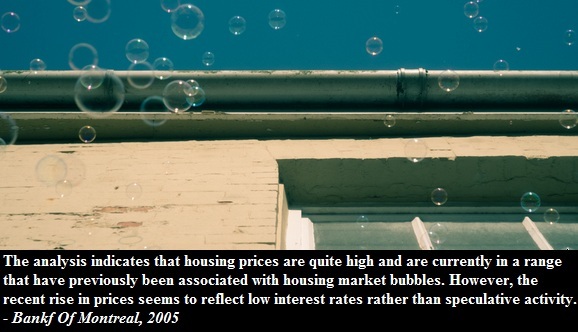 How could the housing market be sustainable when it's at the mercy of interest rates? 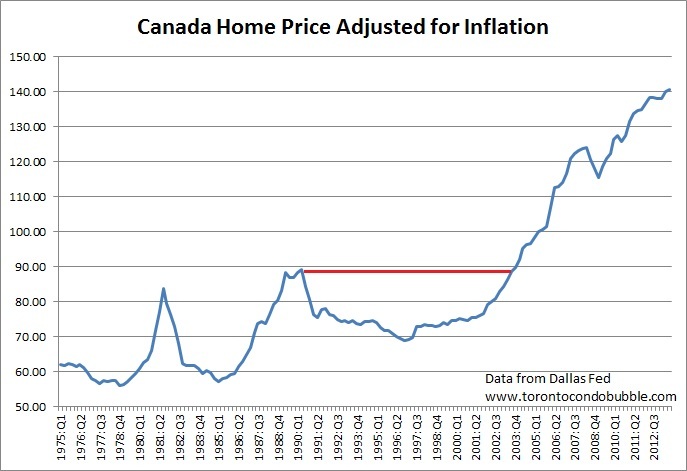 Moreover, even if rates don't rise for the next decade, it does not necessarily mean that the housing bubble in Canada won't burst! “There are doubters and skeptics that say the housing market is not sustainable, but we don’t see a bubble coming,” said BMO senior economist Robert Kavcic.